Much has been said and written about the benefits of black cohosh in treating menopausal symptoms. This herbal medicine was used by American Indians to ease many a female health complaint. 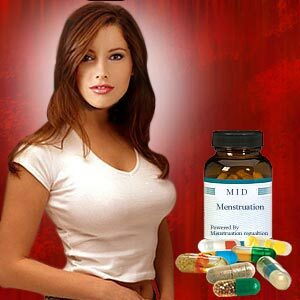 There is renewed interest in this herbal medicine as an alternative to HRT and its side effects. But there is also concern over its use as hormone therapy for women who have a family or personal history of breast cancer. 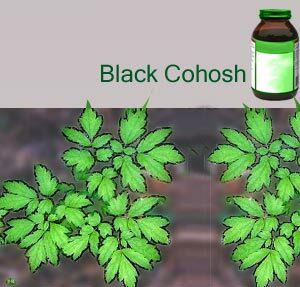 Black cohosh has not been evaluated by the FDA for safety, effectiveness or purity. It is advisable to contact your doctor or healthcare professional before taking this herbal medicine. Check out the possible side effects of black cohosh. The black cohosh plant is native to the dense forests of Ontario, Tennessee and Missouri and Europe. It was formerly called Cimicifuga racemosa and is also referred to as Actaea racemosa. Black cohash root is also known as baneberry, black snake root, bugwort, rattleroot and bugbane. The medicinal part is the fresh and dried root of the black cohash plant. The black cohosh root is used medicinally since it contains triterpene glycosides, the primary active constituents. It gets its blackish color from rhizome. The straight, strong, dark brownish roots sprout from the underground rhizome and are roughly quadrangular and grooved. The word 'cohosh' finds origin in the Algonquian word meaning 'rough'. The dried root of black cohosh or rhizomes are said to contain contain B-vitamins, estrogenic substances, oleic acid, palmitic acid and vitamin A. Black cohosh has been traditionally used by American Indians to treat a host of ailments ranging from dysmenorrhea and snakebites to vaginal dryness and rheumatism. Today black cohosh extract is available as tincture, dried herb and capsule. Some forms of black cohosh can be brewed to form a tea for drinking. Remifemin is the most common commercial formulation of black cohosh available in the U.S. The antispasmodic properties of black cohosh root are used to alleviate menstrual discomfort and painful cramps. While the use of herbs in treating menopause symptoms is not FDA approved, black cohosh is used as an alternative therapy to hormone replacement therapy during menopause. This is due to its estrogenic activity. Menopausal women suffering hot flashes often take black cohosh for its mild sedative and anti-inflammatory properties. In fact, it is noticed that black cohosh helps those suffering from osteoarthritis and rheumatoid arthritis. But physicians caution against the long-term use of black cohosh as it might increase the risk of developing endometrial cancer. It is essential to be careful while using black cohosh as it can be confused with blue cohosh or white cohosh which can be toxic. Black cohosh is contraindicated for those suffering from aspirin allergies as well as hypertensive patients and those suffering from liver disease. Black Cohosh is not to be used by those undergoing treatment for breast cancer or uterine fibroids. With its anti-inflammatory and sedative properties, black cohosh is used to relieve pains and aches. It has shown relief in clearing congestion and coughs. The phytoestrogens contained within black cohosh can ease PMS. It has been used to ease high cholesterol levels and hardened arteries. The phytoestrogens are said to reduce vaginal dryness, depression and other menopausal complaints. Those looking for natural childbirth and herbal supplements use Black Cohosh to induce labor. This is not to be taken without a doctor or midwife as it is not scientifically proven yet. It is said that the phytoestrogen in Black Cohosh produces oxytocin thereby stimulating the uterus into contractions. Use of Black Cohosh before the 37th week of gestation is very dangerous. It can lead to prolonged bleeding or neurological problems in the baby. Since it is a powerful herb, it is not recommended for usage longer than six months at a time. Do not use different formulations of black cohosh at the same time for risk of overdose. High dosage of black cohosh can lead to headache and dizziness and low blood pressure. Weight gain and stomach upsets can also result. The use of black cohosh is contraindicated during pregnancy on account of its ability to stimulate uterine contractions. There have been instances of autoimmune hepatitis in some cases where black cohosh was taken. First Published Date: 28 Mar 2005 Last modified Date: April 23 2019 This page may have been updated recently as new information is available or the content may have been edited for better readability.